Traditional wassails were—and still are, I suppose—seasonal hot drinks made with wine or beer, sugar, spices, eggs, and bits of toast floating on top. Today, we’re far more likely to find toasty, bready flavors in a more fashionable (and still seasonally appropriate) beverage: methode champenoise sparkling wine. How those characteristic flavors get there has nothing to do with actual toast and everything to do with yeast. 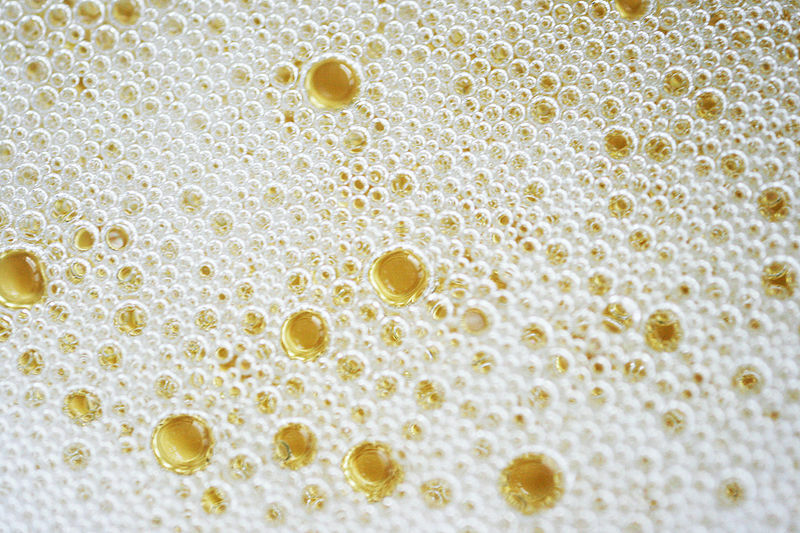 I’ll talk more about the bubbles in sparkling wine next month; today, it’s all about the yeast. Sparkling wine made in the methode champenoise fashion is always, necessarily, aged sur lie (occasionally called “biological aging”), which means that the wine spends months or years in contact with its lees (Champagne, by law, sits on its lees for at least a year). 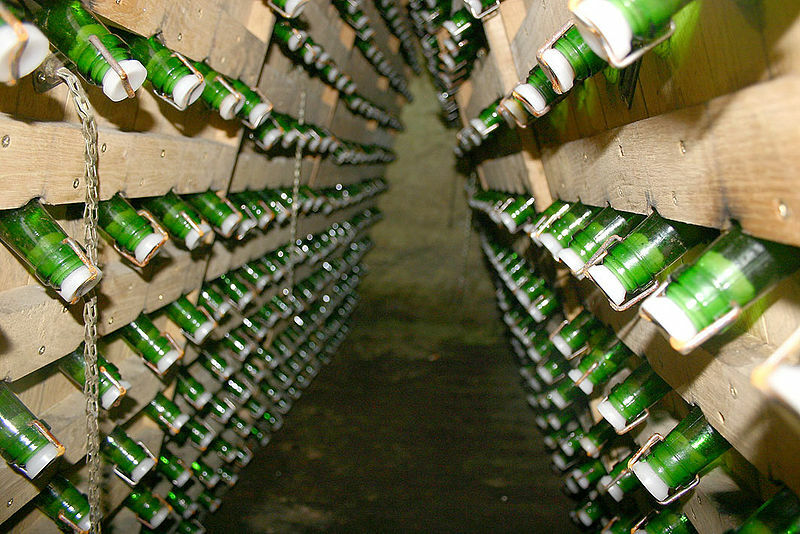 Methode champenoise begins with a primary fermentation, after which the resulting “base wine” is bottled up with more yeast, extra sugar, and possibly some nutrients. 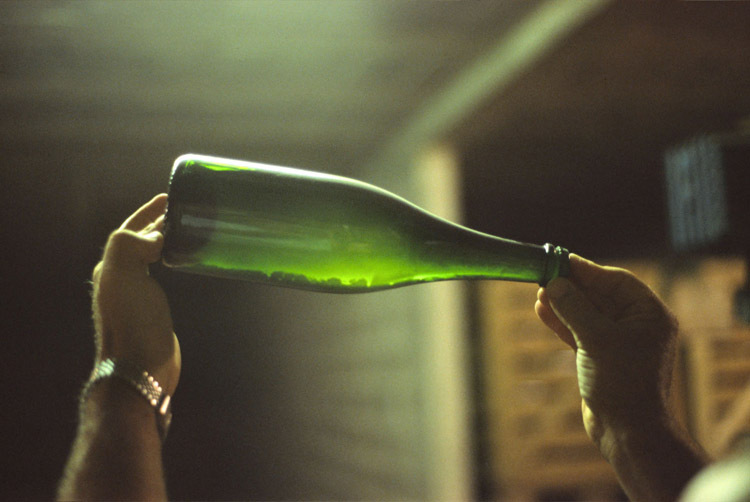 The second fermentation that happens in the bottle generates bubbles (from the CO2 given off by the yeast during fermentation), more alcohol, and a fat cake of lees. Functionally, lees are the goopy junk found at the bottom of a tank, barrel, or bottle after—potentially quite a while after—fermentation finishes. The goopy junk is mostly dead yeast cells, along with some tartaric acid crystals and whatever fining agents (like bentonite) the winemaker may have added to help the dead yeast cells settle out. As icky and awful as that sounds, all of those little dead yeast bodies are much of what makes methode champenoise sparklers taste the way they do. Yeast cells die toward the end of fermentation as alcohol levels rise and sugars run out. As they die, yeasts’ enzymes cause them to split open, a process called autolysis (“auto”—self; “lysis”—splitting). Autolysis is a much more active process than the yeast cells just dying; yeast enzymes actually break open and destroy bits of the cell wall and cell membrane. We know that yeast cells undergo autolysis in sparkling wine bottles as the second fermentation ends, incidentally, because some really cool people have taken some very detailed microscopic pictures of yeast cells in their death throes. 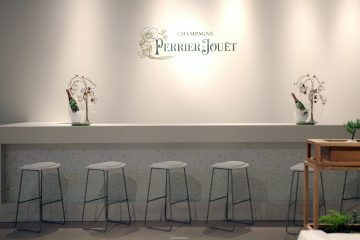 Yeast strains used for the second fermentation of sparkling wines are chosen, in part, for their ability to perform autolysis because the flavors and textures this process produces are so valued. Indeed, one of the pushes in yeast genetics is to develop sparkling wine-specific strains that will autolyse abnormally quickly so that wine can sit on its lees for less time, still pick up yeasty flavors, and save the producer time and money. A whole slew of different compounds are released into the wine as autolysis occurs, but some are more important than others. Mannoproteins (a sugar called mannose attached to any one of several complex proteins), which come from yeast cell walls, are important in softening the astringency and bitterness of tannins and in making the body of the wine richer and smoother1. Mannoproteins also help keep a wine clear (reduce haze formation), though no one quite knows why2. Lipids (bitty fat molecules) from the cell wall and bits of DNA and RNA both add to wine flavor, though those flavors haven’t been very well-defined yet3. Glucans (long strings of glucose bonded together) also from the yeast cell wall, help improve the stability of the foam (aka mousse) that collects at the top of the liquid in your glass. Assorted amino acids and proteins from the inside of the cell help foam stability, too, and contribute sweet and bitter flavors. Esters, characteristically fruity, can actually be absorbed into lees such that sur lie aging can subtract fresh fruitiness from a wine. So, where does that lovely toasty, bready, yeasty sensation originate? Specific volatile molecules liberated (from yeast cells) by autolysis—esters, aldehydes, ketones, and the like—have been linked to specific components of what we perceive as “yeasty.” Heptanal, an alkyl aldehyde, is associated with “biscuit” or cookie-ish aromas. Undecalactone, a cyclic ester, yields a vanilla or macadamia nut-like note. Diacetyl is buttery. Isoeugenol, sotolon, and guaiacol are variously toasty or herbal. And, delightfully, furfural (another aldehyde), smells like marzipan. Not all sparklers are aged sur lie because not all sparklers are made methode champenoise. The Charmat process (also called the bulk or tank process) is the most oft-used alternative. Briefly, instead of performing the second fermentation—the one that provides the bubbles—in individual bottles which are then time-consumingly riddled and disgorged (to remove the lees), the second fermentation happens in a big pressurized tank. The carbonated wine is then filtered and bottled under pressure. 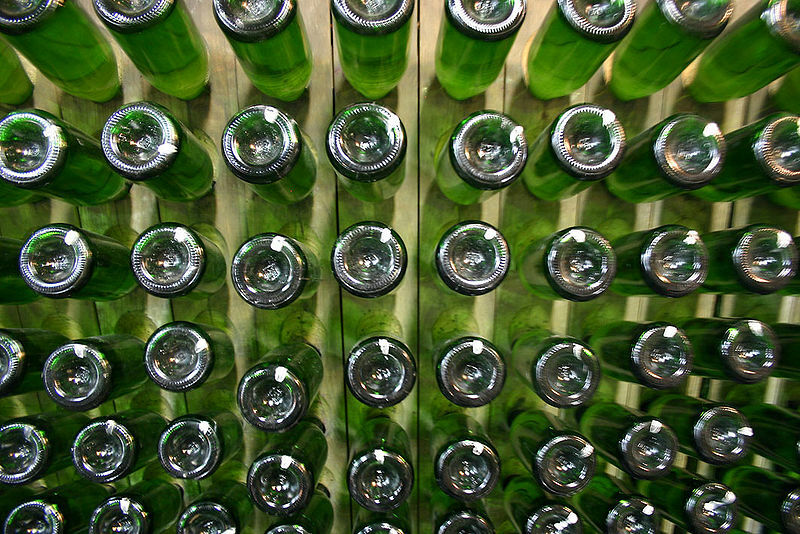 Skipping that whole riddling and disgorging business means that the wine can be finished much, much more quickly—and more cheaply—because the wine can be filtered off its lees as soon as the second fermentation ends. Makers of Charmat process sparklers aren’t subject to regulations dictating how long their wines must spend on their lees, either. The Charmat process is customarily used because it’s (much, much) cheaper, but it also produces different flavors. 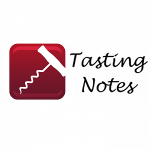 Less lees contact results in fresher, more fruit-driven wines lacking the toasty, bready, and yeasty notes for which traditional methode champenoise sparklers are noted. But, naturally, some makers of big-batch sparkling wine want their flavors to resemble those of the traditional producers. Enter thermal treatment. Heating the wine for a few days at temperatures between 35 and 70 degrees Celsius causes a rush of yeast autolysis and the corresponding release of yummy yeast cell wall components4. Of course, that’s not all heat does. Heating provides enough energy to break glycosidic bonds, that is, bonds between glucose and another molecule, which is often a terpene. Terpenes are a class of smelly creatures, as some of their names suggest: geraminol, nerol, and cirtronellol, for example. Glucose acts like an anchor that keeps the attached terpene bound in the wine, prevents it from volatilizing, and therefore prevents it from being smelled. But when the glycosidic bond holding it down is broken, those terpenes can now break free into the headspace above your wine where they can contribute floral, citrusy, or smoky aromas. In other words, Charmat process sparkling wine that undergoes thermal treatment is not going to smell like methode champenoise sparkling wine, even if more yeast autolysis does happen. As this is a season for giving thanks as well as a season for popping bottles of bubbly, I’d like to raise a toast to all of the many, many yeast cells who so selflessly gave up their lives—and their mannoproteins, and lipids, and volatiles—to make my toast more toasty. To them, my thanks. This was a great post. Thank you for helping me understand the sparkling varieties and the basis for that excellent toasty flavor.